Don’t look now, but conditions are deteriorating in the western Pacific. Things are turning ugly, with consequences that could prove deadly and spell catastrophe for the global economy. In Washington, it is widely assumed that a showdown with Iran over its nuclear ambitions will be the first major crisis to engulf the next secretary of defense -- whether it be former Senator Chuck Hagel, as President Obama desires, or someone else if he fails to win Senate confirmation. With few signs of an imminent breakthrough in talks aimed at peacefully resolving the Iranian nuclear issue, many analysts believe that military action -- if not by Israel, then by the United States -- could be on this year’s agenda. Lurking just behind the Iranian imbroglio, however, is a potential crisis of far greater magnitude, and potentially far more imminent than most of us imagine. China’s determination to assert control over disputed islands in the potentially energy-rich waters of the East and South China Seas, in the face of stiffening resistance from Japan and the Philippines along with greater regional assertiveness by the United States, spells trouble not just regionally, but potentially globally. The possibility of an Iranian crisis remains in the spotlight because of the obvious risk of disorder in the Greater Middle East and its threat to global oil production and shipping. A crisis in the East or South China Seas (essentially, western extensions of the Pacific Ocean) would, however, pose a greater peril because of the possibility of a U.S.-China military confrontation and the threat to Asian economic stability. The United States is bound by treaty to come to the assistance of Japan or the Philippines if either country is attacked by a third party, so any armed clash between Chinese and Japanese or Filipino forces could trigger American military intervention. With so much of the world’s trade focused on Asia, and the American, Chinese, and Japanese economies tied so closely together in ways too essential to ignore, a clash of almost any sort in these vital waterways might paralyze international commerce and trigger a global recession (or worse). All of this should be painfully obvious and so rule out such a possibility -- and yet the likelihood of such a clash occurring has been on the rise in recent months, as China and its neighbors continue to ratchet up the bellicosity of their statements and bolster their military forces in the contested areas. 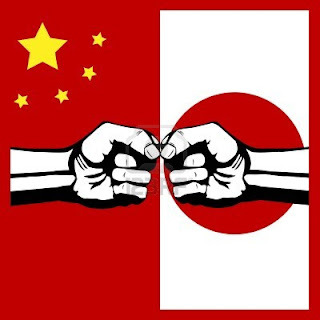 Washington’s continuing statements about its ongoing plans for a “pivot” to, or “rebalancing” of, its forces in the Pacific have only fuelled Chinese intransigence and intensified a rising sense of crisis in the region. Leaders on all sides continue to affirm their country’s inviolable rights to the contested islands and vow to use any means necessary to resist encroachment by rival claimants. In the meantime, China has increased the frequency and scale of its naval maneuvers in waters claimed by Japan, Vietnam, and the Philippines, further enflaming tensions in the region. Ostensibly, these disputes revolve around the question of who owns a constellation of largely uninhabited atolls and islets claimed by a variety of nations. In the East China Sea, the islands in contention are called the Diaoyus by China and the Senkakus by Japan. At present, they are administered by Japan, but both countries claim sovereignty over them. In the South China Sea, several island groups are in contention, including the Spratly chain and the Paracel Islands (known in China as the Nansha and Xisha Islands, respectively). China claims all of these islets, while Vietnam claims some of the Spratlys and Paracels. Brunei, Malaysia, and the Philippines also claim some of the Spratlys. Far more is, of course, at stake than just the ownership of a few uninhabited islets. The seabeds surrounding them are believed to sit atop vast reserves of oil and natural gas. Ownership of the islands would naturally confer ownership of the reserves -- something all of these countries desperately desire. Powerful forces of nationalism are also at work: with rising popular fervor, the Chinese believe that the islands are part of their national territory and any other claims represent a direct assault on China’s sovereign rights; the fact that Japan -- China’s brutal invader and occupier during World War II -- is a rival claimant to some of them only adds a powerful tinge of victimhood to Chinese nationalism and intransigence on the issue. By the same token, the Japanese, Vietnamese, and Filipinos, already feeling threatened by China’s growing wealth and power, believe no less firmly that not bending on the island disputes is an essential expression of their nationhood. Long ongoing, these disputes have escalated recently. In May 2011, for instance, the Vietnamese reported that Chinese warships were harassing oil-exploration vessels operated by the state-owned energy company PetroVietnam in the South China Sea. In two instances, Vietnamese authorities claimed, cables attached to underwater survey equipment were purposely slashed. In April 2012, armed Chinese marine surveillance ships blocked efforts by Filipino vessels to inspect Chinese boats suspected of illegally fishing off Scarborough Shoal, an islet in the South China Sea claimed by both countries. The East China Sea has similarly witnessed tense encounters of late. Last September, for example, Japanese authorities arrested 14 Chinese citizens who had attempted to land on one of the Diaoyu/Senkaku Islands to press their country’s claims, provoking widespread anti-Japanese protests across China and a series of naval show-of-force operations by both sides in the disputed waters. Regional diplomacy, that classic way of settling disputes in a peaceful manner, has been under growing strain recently thanks to these maritime disputes and the accompanying military encounters. In July 2012, at the annual meeting of the Association of Southeast Asian Nations (ASEAN), Asian leaders were unable to agree on a final communiqué, no matter how anodyne -- the first time that had happened in the organization’s 46-year history. Reportedly, consensus on a final document was thwarted when Cambodia, a close ally of China’s, refused to endorse compromise language on a proposed “code of conduct” for resolving disputes in the South China Sea. Two months later, when Secretary of State Hillary Rodham Clinton visited Beijing in an attempt to promote negotiations on the disputes, she was reviled in the Chinese press, while officials there refused to cede any ground at all. As 2012 ended and the New Year began, the situation only deteriorated. On December 1st, officials in Hainan Province, which administers the Chinese-claimed islands in the South China Sea, announced a new policy for 2013: Chinese warships would now be empowered to stop, search, or simply repel foreign ships that entered the claimed waters and were suspected of conducting illegal activities ranging, assumedly, from fishing to oil drilling. This move coincided with an increase in the size and frequency of Chinese naval deployments in the disputed areas. On December 13th, the Japanese military scrambled F-15 fighter jets when a Chinese marine surveillance plane flew into airspace near the Diaoyu/Senkaku Islands. Another worrisome incident occurred on January 8th, when four Chinese surveillance ships entered Japanese-controlled waters around those islands for 13 hours. Two days later, Japanese fighter jets were again scrambled when a Chinese surveillance plane returned to the islands. Chinese fighters then came in pursuit, the first time supersonic jets from both sides flew over the disputed area. The Chinese clearly have little intention of backing down, having indicated that they will increase their air and naval deployments in the area, just as the Japanese are doing. While war clouds gather in the Pacific sky, the question remains: Why, pray tell, is this happening now? Several factors seem to be conspiring to heighten the risk of confrontation, including leadership changes in China and Japan, and a geopolitical reassessment by the United States. * In China, a new leadership team is placing renewed emphasis on military strength and on what might be called national assertiveness. At the 18th Party Congress of the Chinese Communist Party, held last November in Beijing, Xi Jinping was named both party head and chairman of the Central Military Commission, making him, in effect, the nation’s foremost civilian and military official. Since then, Xi has made several heavily publicized visits to assorted Chinese military units, all clearly intended to demonstrate the Communist Party’s determination, under his leadership, to boost the capabilities and prestige of the country’s army, navy, and air force. He has already linked this drive to his belief that his country should play a more vigorous and assertive role in the region and the world. In a speech to soldiers in the city of Huizhou, for example, Xi spoke of his “dream” of national rejuvenation: “This dream can be said to be a dream of a strong nation; and for the military, it is the dream of a strong military.” Significantly, he used the trip to visit the Haikou, a destroyer assigned to the fleet responsible for patrolling the disputed waters of the South China Sea. As he spoke, a Chinese surveillance plane entered disputed air space over the Diaoyu/Senkaku islands in the East China Sea, prompting Japan to scramble those F-15 fighter jets. * In Japan, too, a new leadership team is placing renewed emphasis on military strength and national assertiveness. On December 16th, arch-nationalist Shinzo Abe returned to power as the nation’s prime minister. Although he campaigned largely on economic issues, promising to revive the country’s lagging economy, Abe has made no secret of his intent to bolster the Japanese military and assume a tougher stance on the East China Sea dispute. In his first few weeks in office, Abe has already announced plans to increase military spending and review an official apology made by a former government official to women forced into sexual slavery by the Japanese military during World War II. These steps are sure to please Japan’s rightists, but certain to inflame anti-Japanese sentiment in China, Korea, and other countries it once occupied. Equally worrisome, Abe promptly negotiated an agreement with the Philippines for greater cooperation on enhanced “maritime security” in the western Pacific, a move intended to counter growing Chinese assertiveness in the region. Inevitably, this will spark a harsh Chinese response -- and because the United States has mutual defense treaties with both countries, it will also increase the risk of U.S. involvement in future engagements at sea. * In the United States, senior officials are debating implementation of the “Pacific pivot” announced by President Obama in a speech before the Australian Parliament a little over a year ago. In it, he promised that additional U.S. forces would be deployed in the region, even if that meant cutbacks elsewhere. “My guidance is clear,” he declared. “As we plan and budget for the future, we will allocate the resources necessary to maintain our strong military presence in this region.” While Obama never quite said that his approach was intended to constrain the rise of China, few observers doubt that a policy of “containment” has returned to the Pacific. This, in turn, has fueled a drive by military hawks to press the administration to spend more on Pacific-oriented forces and to play a more vigorous role in countering China's "bullying" behavior in the East and South China Seas. “[America’s Asian allies] are waiting to see whether America will live up to its uncomfortable but necessary role as the true guarantor of stability in East Asia, or whether the region will again be dominated by belligerence and intimidation,” former Secretary of the Navy and former Senator James Webb wrote in the Wall Street Journal. Although the administration has responded to such taunts by reaffirming its pledge to bolster its forces in the Pacific, this has failed to halt the calls for an even tougher posture by Washington. Obama has already been chided for failing to provide sufficient backing to Israel in its struggle with Iran over nuclear weapons, and it is safe to assume that he will face even greater pressure to assist America’s allies in Asia were they to be threatened by Chinese forces. Add these three developments together, and you have the makings of a powder keg -- potentially at least as explosive and dangerous to the global economy as any confrontation with Iran. Right now, given the rising tensions, the first close encounter of the worst kind, in which, say, shots were unexpectedly fired and lives lost, or a ship or plane went down, might be the equivalent of lighting a fuse in a crowded, over-armed room. Such an incident could occur almost any time. The Japanese press has reported that government officials there are ready to authorize fighter pilots to fire warning shots if Chinese aircraft penetrate the airspace over the Diaoyu/Senkaku islands. A Chinese general has said that such an act would count as the start of "actual combat." That the irrationality of such an event will be apparent to anyone who considers the deeply tangled economic relations among all these powers may prove no impediment to the situation -- as at the beginning of World War I -- simply spinning out of everyone’s control. Can such a crisis be averted? Yes, if the leaders of China, Japan, and the United States, the key countries involved, take steps to defuse the belligerent and ultra-nationalistic pronouncements now holding sway and begin talking with one another about practical steps to resolve the disputes. Similarly, an emotional and unexpected gesture -- Prime Minister Abe, for instance, pulling a Nixon and paying a surprise goodwill visit to China -- might carry the day and change the atmosphere. Should these minor disputes in the Pacific get out of hand, however, not just those directly involved but the whole planet will look with sadness and horror on the failure of everyone involved.